I think we are the last in the nation to still be in school....so I am just a wee bit ready to get a SUMMER BUCKET LIST moving right along. Is anyone still suffering along with me?? Our last day of school is today, June 21st!! The first day of summer!!!! 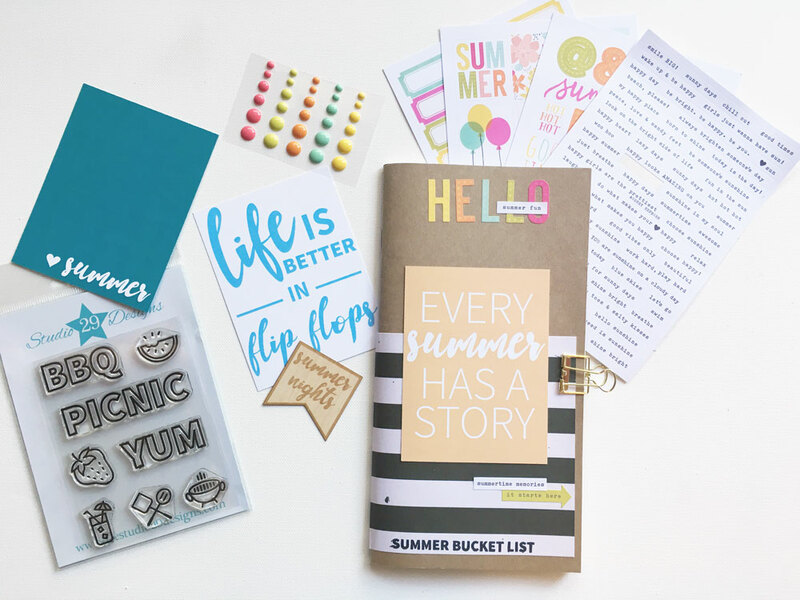 Have you heard about this fun FREE class hosted by Little Paper Products, called LittleSummerJOY? They did this amazing, inspirational class last summer, too and there were some very talented contributors. I can't wait to see who they have lined up this year! It is starting July 1, so go check it out. I was excited to get my June Take 10 Pocket Kit and Glam Bag because I just knew it would have some goodies to use for this project!! 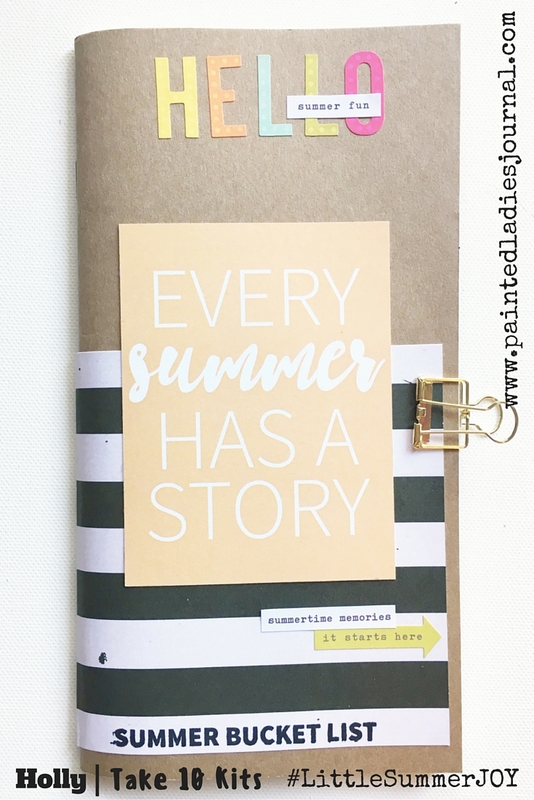 I kept a few items from my May Kit too (that flip flop card and "Summer Nights" wood veneer) that will fit well with this theme, too. 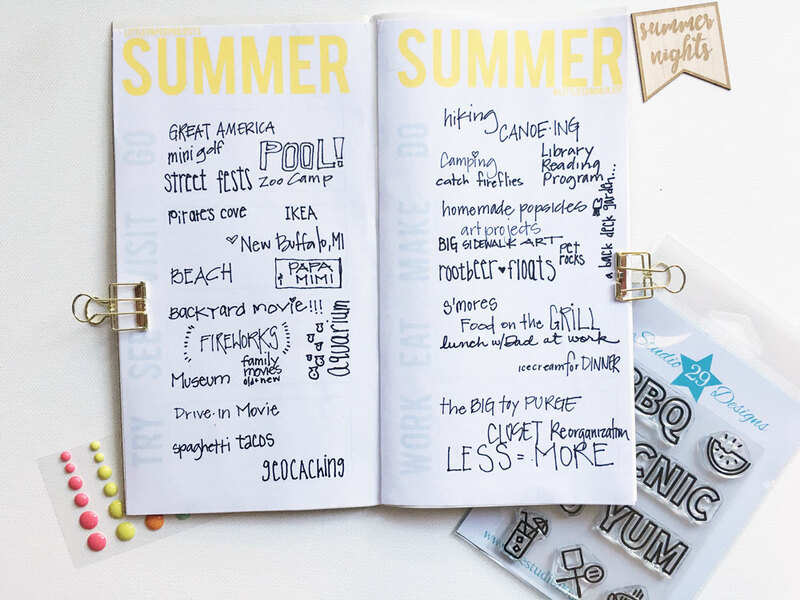 And the stamp "Summer Bucket List" is from the May Take 10 Pocket Kit, too. 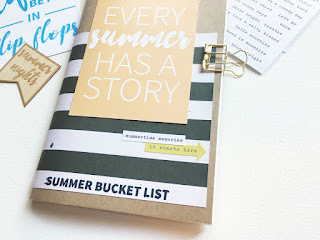 I pasted the printable from Little Paper Projects into the first pages of my Traveler's Notebook and filled it in with all the fun things we want to do this summer. 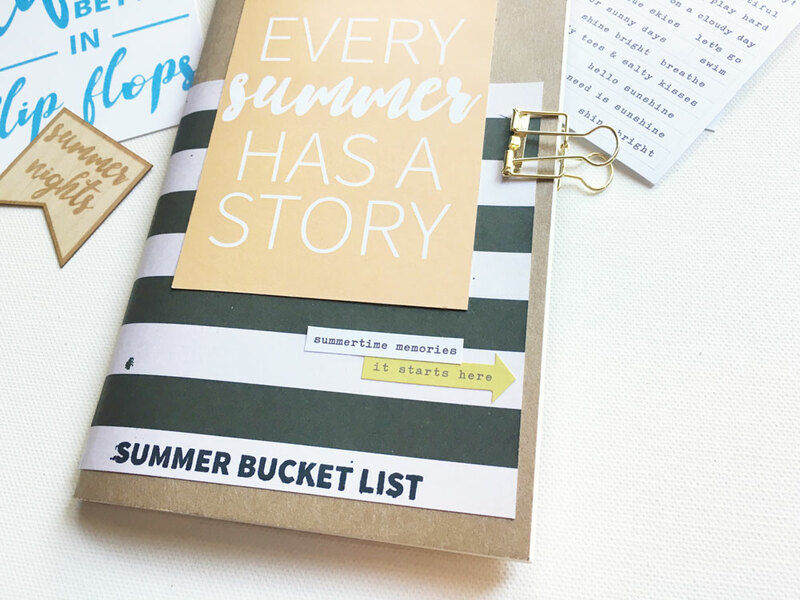 You need to go sign up for their newsletter to get this printable!